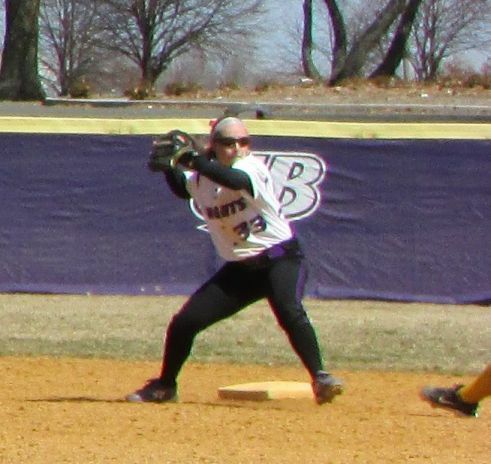 BRIDGEPORT, CT- The NYIT Bears swept their double header versus the Bridgeport Purple Knights with a 7-0 win in game 2. 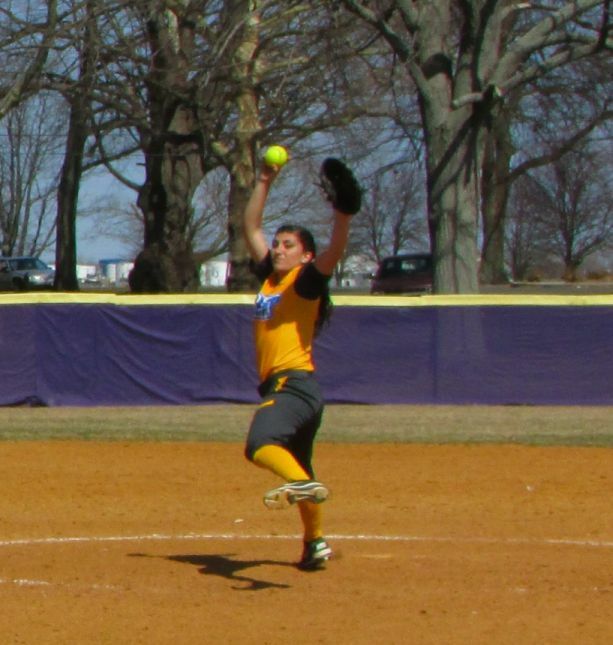 NYIT starter Sofia Evangelista was stellar on her way to the win striking out 9 and only allowing 2 hits. Matz would replace her for the last 2 innings and hold steady. Jennine Walsh took the loss for UB giving up 10 hits and 7 runs, 4 earned and striking out 3. Taylor Hendrickson finished the game pitching 1.2 innings and holding NYIT scoreless in that time. The 1st inning opened with Tori Duquette hitting a single to left center. Chelsea Gourdin then walked. Kat Zabielski hit into a fielder’s choice but reached base as the play was to third. A grounder to short led to Gourdin got to third on a field’s choice when Averie Schroeder made it to first, but Zabielski was thrown out at second. However, Christina Pantages hit a double scoring Duquette and Schroeder, and the next batter, Josephine Santagata, doubled as well scoring Pantages. The score was now 3-0 which would be enough, but NYIT kept rolling. In the 2nd inning, Duquette made it to first after a fielding error. Gourdin, the speedster beat out a throw to first base on her grounder. Two walks would follow and Duquette scored naturally. In the bottom of the second Bridgeport did get a runner on with two outs, but Schroeder threw her out a she tried to steal second. The scoring ceased for a little while though in the fourth Gourdin beat out a throw again. UB’s Paige Owens did have a great catch in center to take a hit away from the Bears. Gourdin also stole second during the inning, but no runs would result. In the bottom of the 5th UB tired to get something going but with two outs, Kat Bejarano-Moreno made a diving catch in right field to end the inning. In the top of the sixth a fielding error allowed Pantages to make it to first, and she would advance on a ground out. Bejarano-Moreno then doubled her home. After a strike out, Bejarano-Moreno advanced to third on a wild pitch allowing Sonia Marin to drive her home when she hit it to short and a fielding error resulted in her safe arrival at first. With the score 6-0, UB came to bat in the 5th but Evangelista struck out the side in her most dominant and last inning. In the top of the 6th Gourdin singled past short, and Schroeder doubled to get her to third. Pantages then hit the ball down the line for a single and Gourdin got home. This led to UB’s pitching change and ended the scoring for the day. Gourdin had 3 hits in the game, Pantages had 2 hits and 3 RBI, Santagata had 2 hits as well and a stolen base. UB’s three hits came from Katelyn Wall, Meghan O’Leary, and Ashley Hessler.